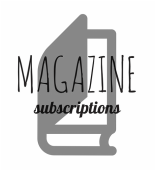 You can donate to the school simply by buying magazines through QSP at great prices. You can save up to 91% off newsstand prices. A single magazine can cost as little as $1.00 per issue. Not only are you encouraging your whole family to keep reading, but our school will also earn a profit while you save money! ​​If you wish to order early or purchase a gift, you can go to www.QSP.ca anytime & support our school (note: our IPS group number is: 3721222). Thank you in advance for your support!